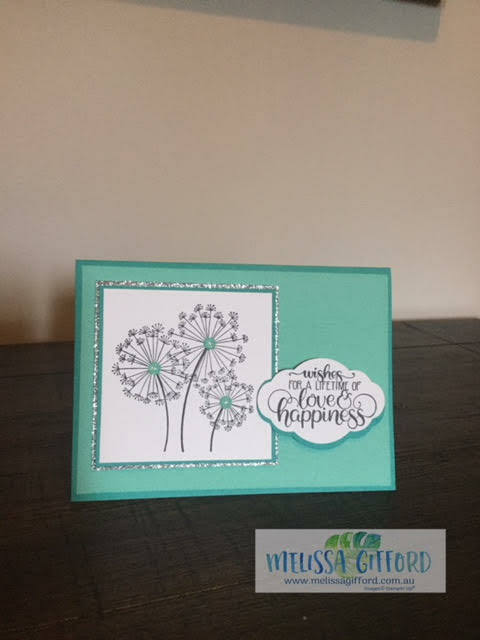 I mentioned in my last post wanting to try some different colour combinations for the Dandelion card - and here is my second card using the same layout and stamp set. For this one I have used Coastal Cabana and Bermuda Bay - quite possibly my two favourite colours ever! I was so excited when Stampin' Up! announced that Coastal Cabana was returning. On this card I chose not to add any ribbon and I love the look just as much. What about you? Which one is your favourite?